A now four-year successful and highly valued international summer school, with an ever-growing international network. YCEAS stands for Young Global Excellence in Advanced Steel. Here you will find this year's preleminary program. We invite PhD students from all over to a two-week summer school. We build Young Glovbal Center of Excellence on Advanced Steels for strong international research networks and collaborations. The doctoral students get a unique opportunity to meet some of the most famous steel companies specialized in advanced steel. They get to experience our region. 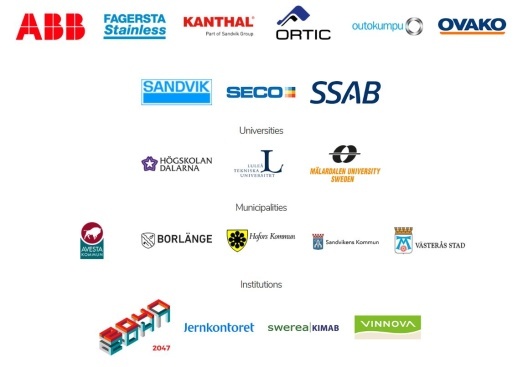 Meet people from municipalities, organizations and companies that can show how we live, live and work in our region and in Sweden. The result is that we get good ambassadors for our steel industry and our region around the world. Research collaboration is started, the network is growing and recruitment opportunities arise. All for a competitive steel industry. It is an excellent opportunity to build a very valuable professional and personal network. It gives the participants an experience for life!